A3 calendar - with paper binding option. A4 calendar - with paper binding. Every year I illustrate, design and produce my own eco-friendly calendars. 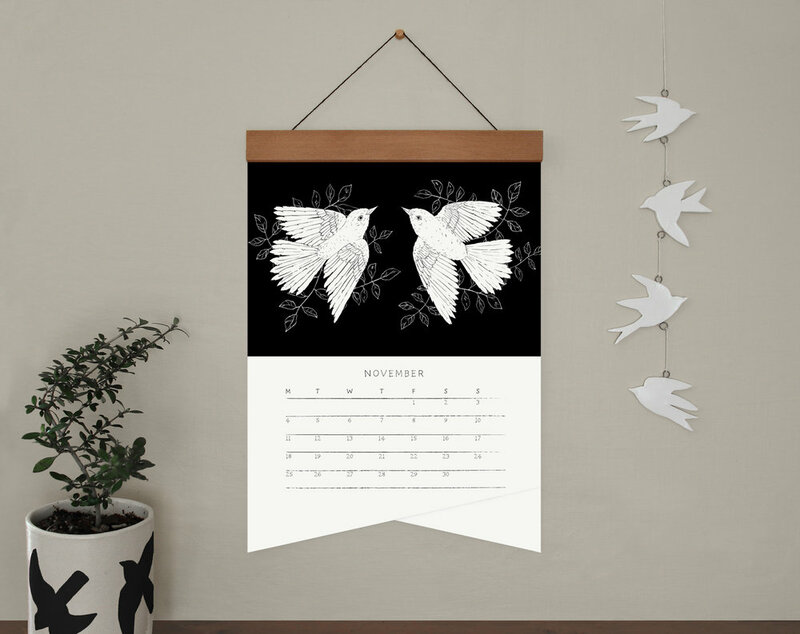 I have been making these black and white calendars with unique cut shape and hanging system since 2013. Each year I illustrate a new set of 12 images to make the calendars. 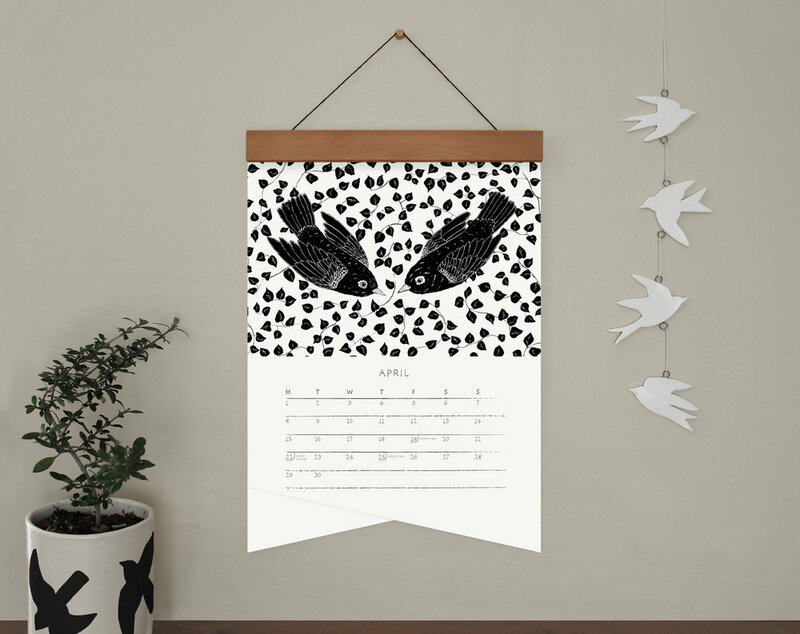 The calendars were available in 2 size options, A4 with paper binding, and A3 with either paper binding or hung on a handmade wooden hanger. All were printed locally in Wellington, NZ on 100% recycled paper.